The exterior of the future AutoZone store at 824 Rockville Pike looks ready to go. There's much more to be done inside the store, however. This was formerly the Patio.com store across from Wintergreen Plaza. 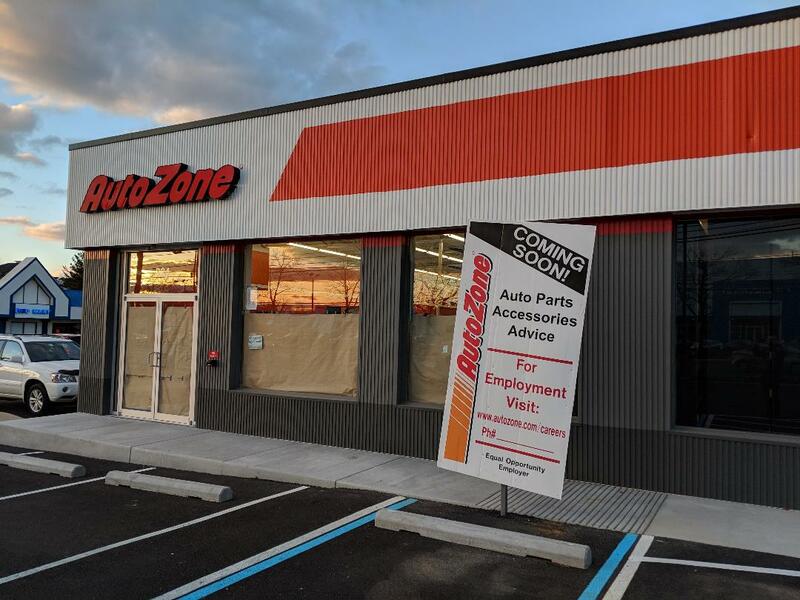 AutoZone is currently hiring for all positions. I couldn't be more pleased as the market continues to invest in the successful "old" Rockville Pike economic model, rather than the urbanization developers sought in a nearly-decade-long battle over the Rockville Pike Plan. Thanks to some of the sharp members of the Rockville Planning Commission, developers didn't get everything they wanted, but the option to urbanize at a more modest scale is still available to them. Yet B.F. Saul is the only development firm that is even daring to go urban on the Pike so far. Perhaps reality is setting in, that having 9 competing urban town centers along the Pike just isn't viable or sustainable, as I predicted years ago. Perhaps it's because investors recognize that Rockville Pike - not the new urban "town centers" around the state - is the commercial revenue engine of the entire state of Maryland. Those "massive seas of surface parking" remain jammed full of cars seven days a week at aging strip centers like Congressional Plaza, Ritchie Center, Edmonston Crossing and Federal Plaza, to name just a very few. Asian food hall Pike Kitchen is drawing crowds, no residential-on-top necessary. The gigantic former Rockville Ford dealership site, a prime "smart growth" transit-oriented development property, ended up firmly in the 1970s with Roy Rogers and auto repair shops. It's intriguing that successful Pike & Rose, unlike Federal Realty's struggling Rockville Town Square, presents an old-Pike face to drivers passing by. What do they see? Old-Pike retailers like big box REI with surface parking, and even an auto dealership. Having arguably the best line-up of restaurants on one property in the county hasn't hurt Pike & Rose, and the Pike has always been a dining destination. 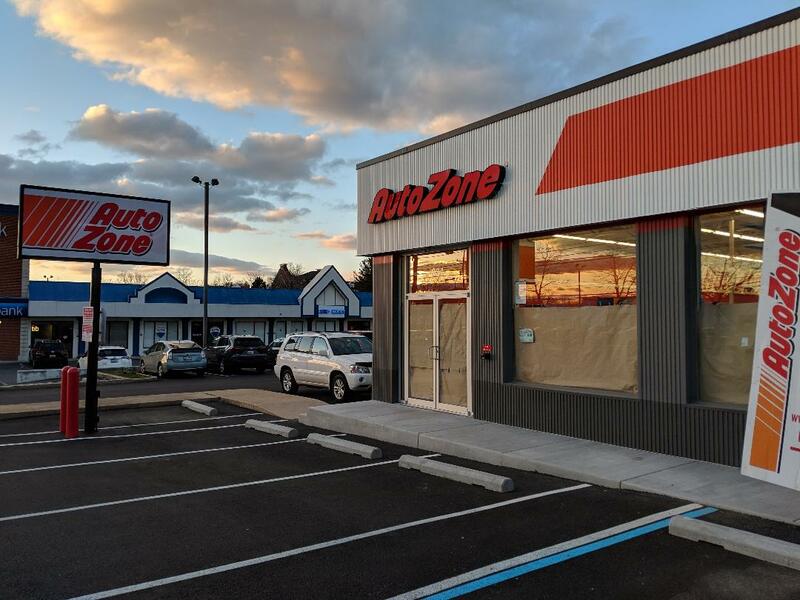 Now, here comes AutoZone. It's not Barcelona, but Barcelona wishes they had "old" Rockville Pike. LMFAO no, Barcelona doesn't wish it had the old rockville pike. No one but old people wishes we had the old rockville pike. 9:16: So who are all the young people at Congressional Plaza and Edmonston Crossing? You must not get out much. The boat people of Rockville. Just look behind the plaza, it's all the asian techies that work at NIH or WRNNMC, doesn't take a rocket scientist to figure that out. 6:52: "Boat people of Rockville?" Racist much? I'm amazed at how nasty the MoCo cartel treats Asian citizens who have come here legally, and instead of mooching off of taxpayers, have played a major role in the Rockville business sector. It really came out during the sanctuary city battle in Rockville. Shocking. The MoCo cartel is tolerant of other races only if they stick to the party line. Go against the cartel, and they will be the first to call the police on African-Americans or call Asians "racist." There are plenty of illegal Asians. It's just that right-wingers have a blind spot that doesn't notice them, or care about their presence, but they are HORRIFIED that there are Latinos living in this country!! (Even in places like California or New Mexico, where Spanish has been spoken since the early 1500s). Why is it that there are never YouTube videos of White Becky screaming at people in restaurants who are speaking Chinese, but there are dozens upon dozens of incidents where White Becky or Bubba go berserk when they hear someone speaking Spanish? 10:50: I think people oversimplify the demographics of Latin America, and the Latino history in America. There are Latinos who have family history in places like Texas or California that predates their addition to the United States. This something that Beto failed to understand when he tried to evict whole neighborhoods of Hispanics in El Paso for his developer sugar daddies, even while swaggerjacking a fake Latino name for himself. Nice touch. Not sure what Beto O'Rourke has to do with an auto repair shop opening in a drab stretch of Rockville Pike. Has Beto become your version of Hans Riemer, at the national level? You seem #Triggered. 1:04: Same old tactics, Saul Alinsky - you bring up irrelevant term like "boat people" in an AutoZone article, and when I respond, you then say "what does that have to do with AutoZone????" Beto is very similar to Riemer in terms of pay-to-play corruption and developer sugar daddies(in-law, in Beto's case). Both are also known for being arrested. Hey bird-brain! Auto Zone is located on the Pike because it requires surface parking to serve its customers. This type retail is auto-centric, you will not find it located in a mall or town-center development with not quick access to parking. The twon center approach is not "struggling" as you perceive, otherwise B.F. Saul and Federal would not be marketing successful versions. It just so happens the RTC has been giving the short-end of the stick by FRIT and thus is suffering. On the other hand, I guess the addition of new retail to the pike is a sure sign of moribundity. 9:42: Wrong. There's a new tire store in Rockville Town Square - and in Montgomery Mall. Here, the landowner has chosen the old model instead of constructing mixed-use. You're moving the goalposts and going off-topic regarding our moribund economy. 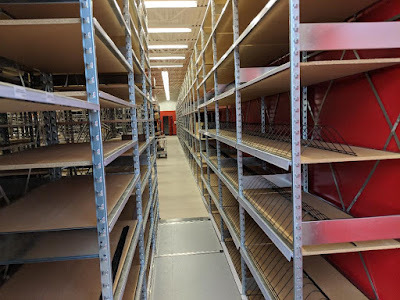 Retail stores are closing in tremendous numbers all over the county, and are not the same level of economic development as high-wage corporate, tech, research and manufacturing jobs. Northern Virginia has cornered the market on those, while MoCo hasn't attracted a single major corporate HQ in two decades. It's quit obvious that when you are proven WRONG and called out on it, you delete the opposing comment. How arrogant and rude of you. The tire store proposed for RTC is NO LONGER coming, as I previously stated, and you deleted. Deal with it. 9:39: The tire store signs were posted in RTC - it's too late to claim it didn't happen. both sides of this argument are correct. "Town Centers" immediately adjacent to metro stops make sense. Filling in the distance between metro stops with more traditional strip-center development also is important...particularly because the pike has tremendous commuting traffic and pulling in/out of strip centers is easy for commuters. one thing not mentioned are the light-industrial loops off Gude and Parklawn. The diversity of real estate is what makes the north bethesda/rockville corridor so vibrant. This site is 0.8 miles from Rockville station, 1.4 miles from Twinbrook station. So it should not be a surprise that it has received a lower level of interest in redevelopment than the other "8 or 9 centers". "You're moving the goalposts and going off-topic regarding our moribund economy"
LOL, you are so laughably un-self-aware. "Retail stores are closing in tremendous numbers all over the countRy"
"So who are all the young people at Congressional Plaza and Edmonston Crossing?" Um, I don't know...did you ask them? I hope you didn't try to sniff their hair. wow a biden refernce...for any of his faults, who else hosts and reports on Rockv, including local politics? Saith Dyer: "Rockville Ford dealership site, a prime "smart growth" transit-oriented development property..."
@ 11:58 PM: "This site is 0.8 miles from Rockville station, 1.4 miles from Twinbrook station." 6:25: Your carpetbagger math isn't any better than it is at Westbard. Rockville Metro station is most definitely not .8 miles from the former Rockville Ford. As usual, you challenge a number without giving one of your own. If it's not 0.8 miles, then how far is it? Idiot. In addition to being too far from the two Metro stations, that entire strip along the east side of Rockville Pike from First Street down to at least the Best Buy is unsuitable for heavy development because the space between the Pike and the railroad/Metro tracks is far too narrow. "It's intriguing that successful Pike & Rose, unlike Federal Realty's struggling Rockville Town Square, presents an old-Pike face to drivers passing by. What do they see? Old-Pike retailers like big box REI with surface parking, and even an auto dealership." REI and the Porsche dealer front both Rockville Pike and at least one cross-street with no parking lots in between. The surface lots fronting the Pike are just placeholders for future buildings, along with the one-story outparcel building that includes Visionworks, Starbucks and Bank of America. Here in Bethesda, Chevy Chase Acura, Ourisman Honda, Ourisman Volkswagen, Volvo of Bethesda, and Audi Bethesda don't lessen the urban vibe in the slightest. 10:29: Huh? REI and Porsche are there for the long-term. Euro Motorcars and Ourisman Honda most definitely do not have an "urban vibe." It's amazing to me how many negative comments Robert's blog creates. I dont know Robert or any of the "anonymous" commenters. But if you don't like what he has to say, then go somewhere else. It's clear you only comment to troll. At least stop being pussies and post with a username. Well said, Steve. You nailed it.